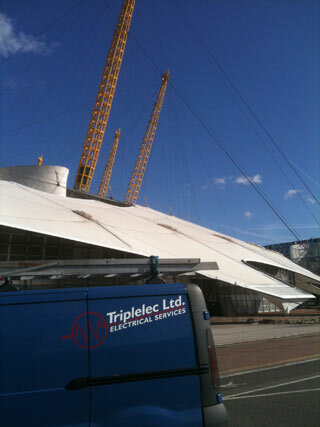 Triplelec Ltd (Electrical Services) have been established since 1998 we are based in Tipton, West Midlands. Triplelec Ltd carry out all aspects of electrical installation work ranging from domestic installations to commercial and industrial contracts in the Midlands and thorough out the UK and Ireland. We are an NICEIC approved contractor and have been since 1999, we are also a Part P registered Domestic Installer, all our electricians are JIB ESCS card holders, have all been time served apprentices And hold City and Guilds and 17th edition IEE regulations (BS7671) Qualifications. We have recently completed work for the following companies employed directly or on a sub-contractor Basis by the Coventry Building Society, Stroud and Swindon Building Society, The National Trust, Foyle's Book Shop's, West Midlands Police, West Midlands fire service, British Water Ways, Heathrow Airport and Brooklands Bus Museum, etc. We can provide a complete electrical service from design through installation to completion. Ranging from small domestic house repairs or installations to industrial or commercial installations up to a value of £300,000. We pride ourselves on our ability to give a reactive, friendly, efficient and provisional service at Competitive rates. Flexibility to work around our customer needs causing the minimum of disruption to business or home life. We have a Minimum £5 million pounds public liability insurance. All work fully guaranteed and certificated.